Denmark and Copenhagen are two European locations that have polled as the happiest and healthiest in the world. What better place, the organisers of EuroFinance must have thought, to host a conference on ensuring that the treasury industry remains happy, healthy and fit for purpose? Health and exercise parables were abundant in Copenhagen, where delegates were encouraged to give their company strategy a check-up. Zanny Minton Beddoes, editor-in-chief of The Economist, got the event off to a rather sombre start by describing Europe as ‘showing signs of ill health and struggling with the pressure put upon it.’ There is a widening gap, she added, between the ‘European ideal’ and global economic realities. Predictably, those global economic realities involved China, with many an audience member choosing to ask questions about the Black Monday crash and its effect on the markets. 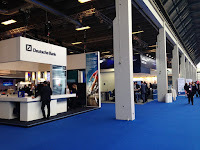 It’s not just slumping markets in the Far East that had got the delegates down at EuroFinance, either: oil price volatility, political uncertainty and even the migrant crisis took their turns in the spotlight. 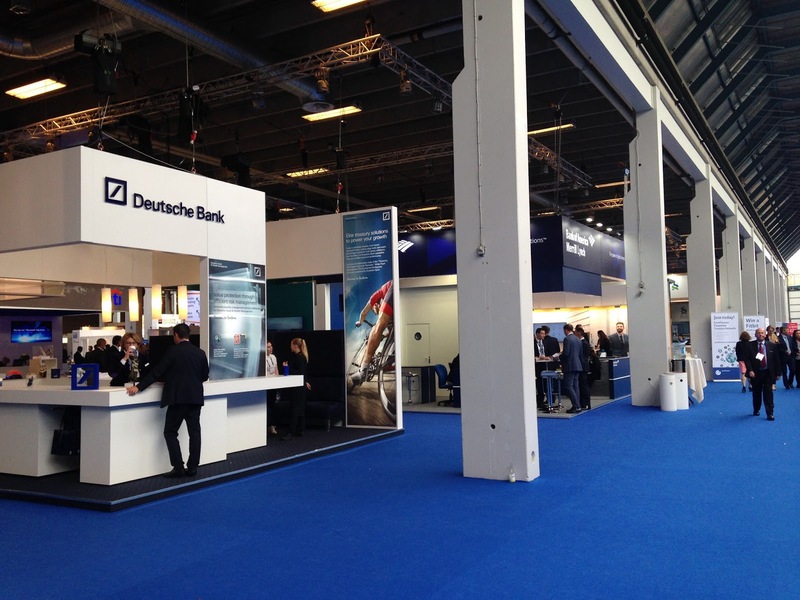 An audience survey conducted at EuroFinance Barcelona in 2013 revealed that those in attendance were optimistic about the future – it’s no surprise such a survey wasn’t taken this time. José Manuel Barroso, one-time prime minister of Portugal and former president of the European Commission, appeared to inject some optimism, offering a more positive look on the European Union’s economic policies and its future following the migrant crisis. Barroso also provided a much needed vim and verve to proceedings, including a perfectly timed sideways glance to the camera when asked his opinion on Donald Trump potentially becoming US president. Strength, agility and performance were all buzzwords that floated around the main speaker’s sessions. Setting proper goals, using the right benchmarks and visualising success were phrases that gave the conference the air of a pep rally at times. It was in the smaller streams, where more niche subjects were discussed, where the real meat and bone of treasury’s issues appeared. Discussions about the ideal treasury technology – described as ‘the lynchpin of the fitness plan’ – led to audiences identifying the need for improved access, better controls and a shift away from manual processes. Of course, as could be expected, cost effectiveness was flagged as a major factor, too. SEPA standardisation, a favourite hot topic at EuroFinance, made its customary appearence as Filipe Simao, head of client advisory for cash management at BNP Paribas, extolled the virtues of payments factories as less costly and more efficient ways to centralise transfers. Client DFDS, represented by group treasurer Simon Hoffman, then demonstrated how it had moved from a decentralised model to a centralised one ‘in less than nine months’. The cloud and blockchain also made their appearance in the technology streams. John Colleemallay, senior director or group treasury and financing at Dassault Systèmes, told attendees that automatic updates from a software-as-a-service platform far outstripped in-house investment and resulted in better control of budgets. As well as a better handle on your cash, he added with a chuckle, it creates an optimised use of IT teams – who traditionally ‘ignore’ the treasury department. Patrick Griffin, executive vice-president of business development at Ripple Labs, labelled the payments industry as ‘more or less fine’, before asking whether using a distributed ledger technology could solve its issues. The emergence of non-bank actors providing liquidity, according to Griffin, is signalling a shift in the industry – instead of a bank lending to a hedge fund it’s the other way around. This is where a distributed ledger can help, he says, lowering and even removing a bank’s liquidity requirements. He acknowledged the technology’s shady pasts, too, agreeing that blockchain will need to step out of the shadow of bitcoin to truly excel in the marketplace. At the end of the third day a vote to the (admittedly sparser) audience asking them what actions their bank had taken in the past six months. 76% indicated that their bank had begun to pull out of regions or countries, while 13% revealed that their bank has refused deposits or straight up changed one of its key services. These were ‘signs of the apocalypse’ for traditional models, according to Daniel Blumen, partner at Treasury Alliance Group. Mirroring the opening addresses neatly he impressed that ‘you have to take steps to prepare yourself and protect yourself’. The emergence of non-bank actors providing liquidity, according to Griffin, is signalling a shift in the industry – instead of a bank lending to a hedge fund it’s the other way around. This is where a distributed ledger can help, he says, lowering and even removing a bank’s liquidity requirements. He acknowledged the technology’s shady pasts, too, agreeing that blockchain will need to step out of the shadow of bitcoin to truly excel in the marketplace. As 2015 turns into 2016, he says, treasury is a new game with completely new rules.